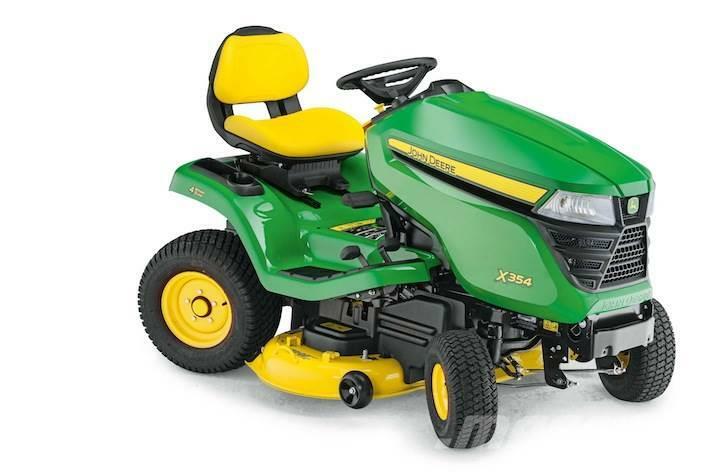 The X354 lawn tractor is part of the Select Series range. It’s easy-to-operate with Twin Touch™ transmission control pedals. The Twin Touch Hydrostatic Pedals allow you to easily control the direction and speed of travel of the tractor without having to lift your foot off the platform.